While city officials and former mill workers are optimistic about a $90 million loan for Corner Brook Pulp and Paper, a newsprint analyst says prospects for high-cost mills don't look good. While Corner Brook city officials and former mill workers in central Newfoundland are optimistic about a multi-million dollar loan for Corner Brook Pulp and Paper — a newsprint analyst is calling the loan a risky venture. Natural Resources Minister Tom Marshall announced on Wednesday that the mill will receive $90 million from the province to help keep it operating. Kevin Mason, an analyst with Equity Research Associates, said given the state of the newsprint industry, the prospects for high-cost mills do not look good. "You know, most of the cost curves or different things, put Corner Brook at the high end of the cost curve." said Mason. "So in an industry that's in a war of attrition ... and generally it's going to be the high-cost ones that will eventually shut, that's obviously a little bit of a concern out there." Mason said he wasn't completely surprised with the announcement, given that Corner Brook Pulp and Paper is the last surviving mill in the province. He added while the market for newsprint in North America is abysmal — the pulp market is growing globally. Coun. Leo Bruce said it's fantastic news for the city of Corner Brook — and for the western and northern region of the island. "The mill is an integral part of the economy here in Corner Brook and western Newfoundland, and this announcement should give the mill a strong look ahead to the future," said Bruce. "The mill has the power plant, they are right there on the water for exporting, they have everything in line, experienced workforce, a phenomenal quality sheet that they sell to the marketplace." Meanwhile, a former Abitibi Bowater employee said any investment to keep the last mill on the island from closing is worth it. Jerry Dean worked at the mill in Grand Falls-Windsor for 30 years before being laid off when the mill shut down in 2009. "There's an old saying that misery loves company ... I don't agree with it," said Dean. "We've had lots of misery out here, in Botwood and in the Exploits Valley since the mill closure, too numerous to talk about. We don't wish that on our friends out on the west coast." Dean said he hopes the loan doesn't pad the pockets of mill management. "You're making a mockery of it all, when you turn around then and see fit to hand out bonuses. You don't do it — it's not right. If that's in the cards, as far as I'm concerned, the government should back away from their loan offer," Dean said. 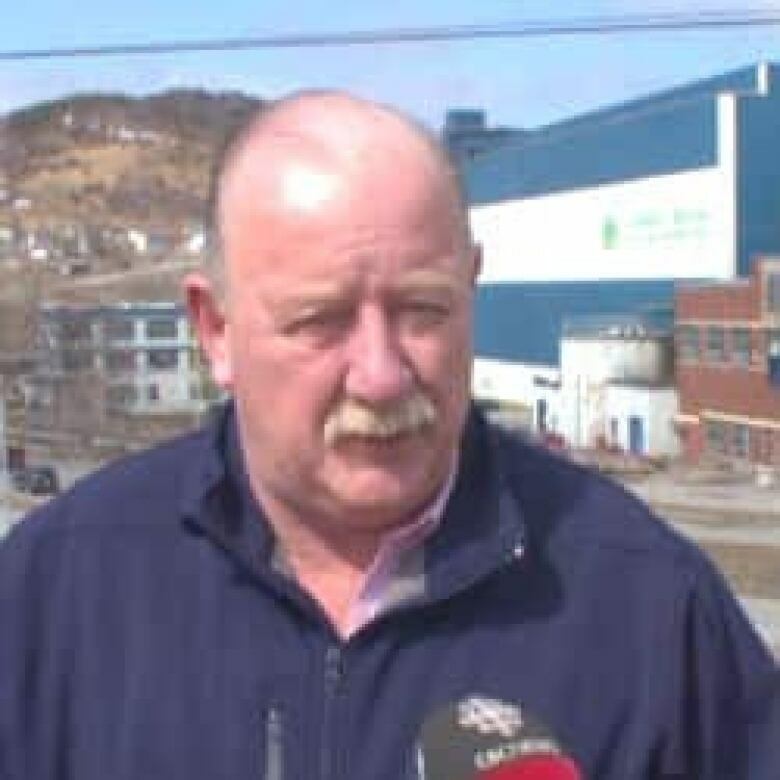 Dean, who is also the mayor of Botwood, hopes the provincial government has a plan to hold mill owner, Kruger Inc., accountable for how the loan is spent and repaid. The future of Corner Brook Pulp and Paper had been in doubt for months amid layoffs, contract concessions and pension problems. Layoffs kicked off 2012. Communications, Energy and Paperworkers union representative Paul Humber said for a number of years, it was the workers who took cuts to keep the paper flowing. "Since the last negotiation, we gave up significant concessions, and just recently in the last couple of weeks, we gave up another four per cent reduction," said Humber. "So, all together for our members it adds up to about 21, almost 22 per cent. The members are doing their part to make this mill work."